Whenever eating out, it might be quite a problem for everyone to agree to a certain restaurant or even cuisine. At SM MEGAMALL, they decided to have the MEGA FOOD FEST again exactly for that reason. It's to bring all the best restaurants in one place for the dining public. During September 5-10, SM MEGAMALL is proud to present the MEGA FOOD FEST 2017. 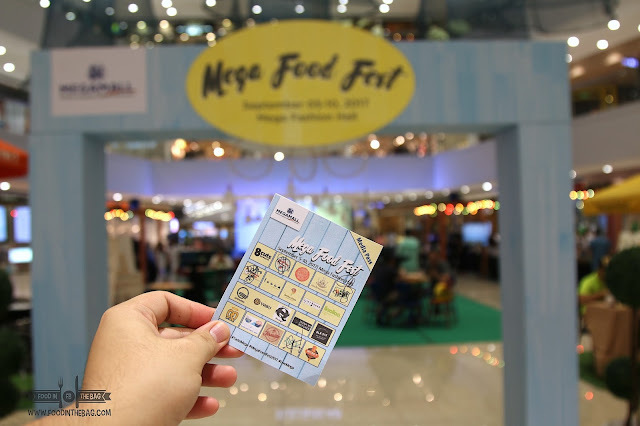 During this time, a bigger number of restaurants will be gathering in the Mega Fashion Hall Ground Floor to have a free for all for everyone visiting. 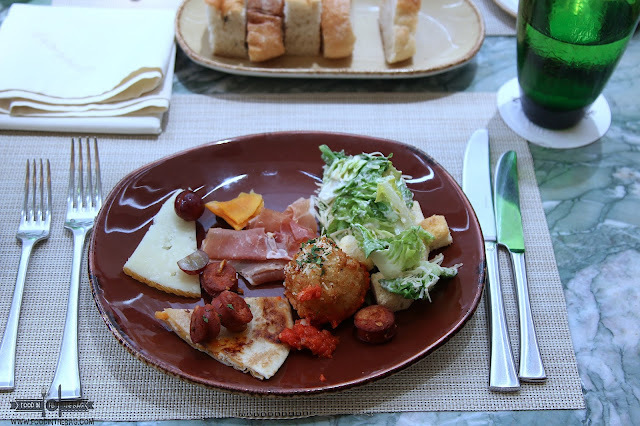 They will be offering different dishes just to entice you to try them out. 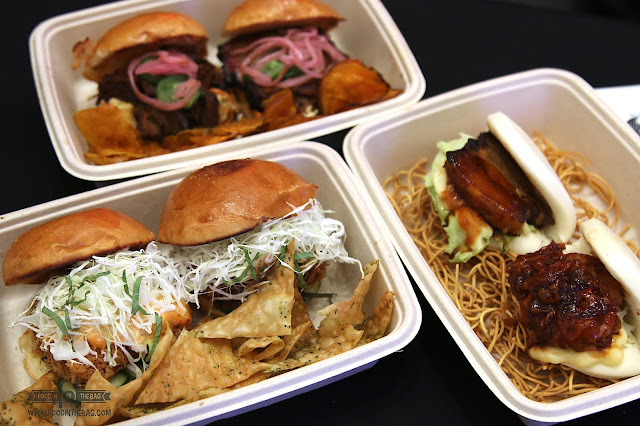 The Standard Hospitality group came out with guns blazing as they served different types of bao's and sliders from YABU, IPPUDO, and MIGHTY QUINN'S. 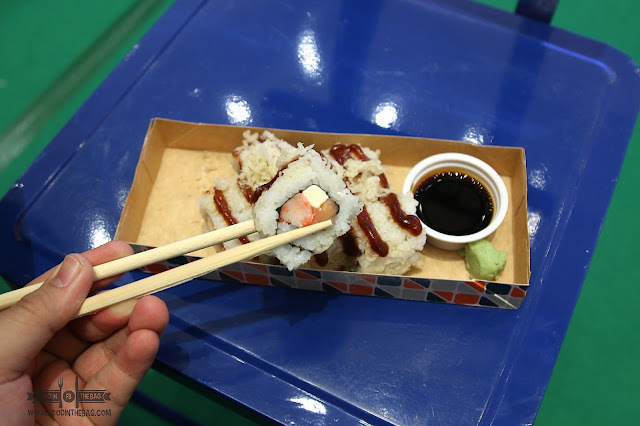 Different Japanese Rolls are offered by Sushi Nori. Very filling, you get to have a fushion of flavors. MAKANSUTRA was also well prepared. 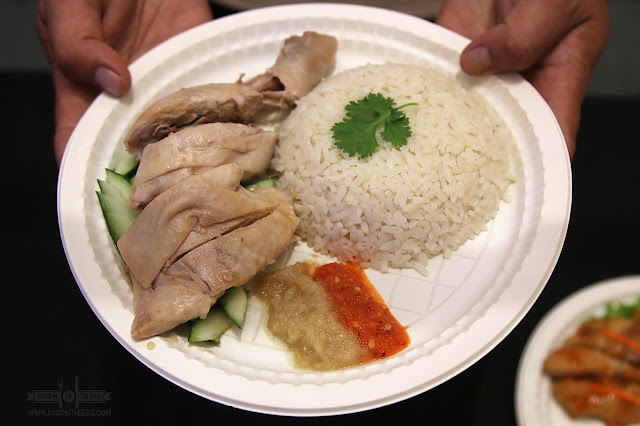 Some of their dishes would include this Chicken Rice as well as LAKSA, and other rice meals. FIRESIDE was also there. 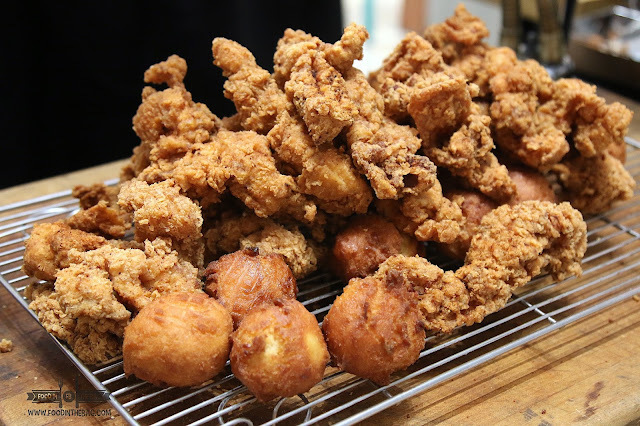 They had their crispy chicken with those beautiful home made donuts. Partnered with some gravy and honey sauce, you get sweet and savory in each bite. The MOMENTS GROUP sent on over 8 Cuts Burger and Linguini Fini in the fray. 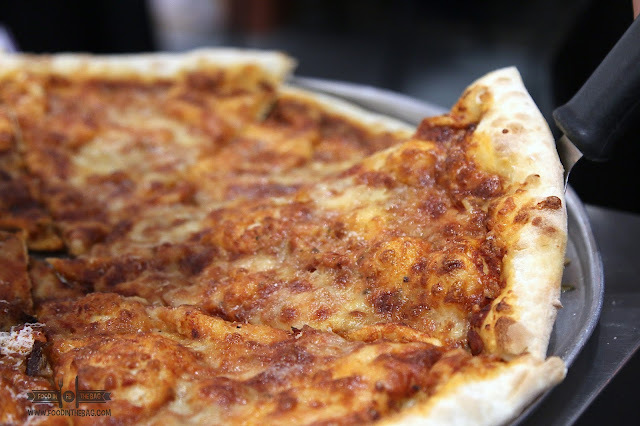 Burgers and pizza sounds like the best snacks (or meal) one could go for. Asian Flavors were also represented pretty well. Aside from NAV'S spring rolls, you also get a taste of VIETNAM with BAHN MI KITCHEN. 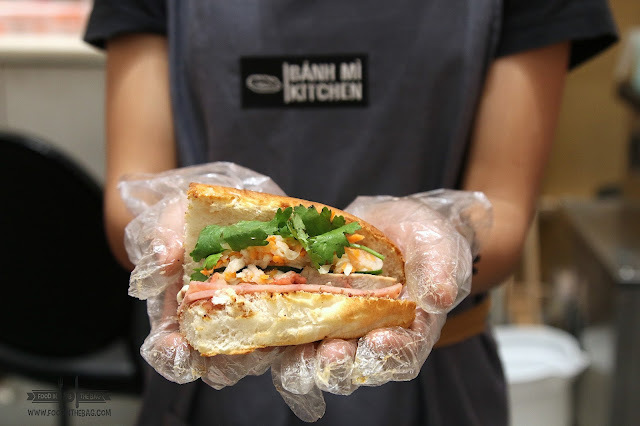 Freshly made and prepared, these banh mi are delicious and addictive. Drinks are also a must in this FOOD FEST. Here we have NITRO 7's. 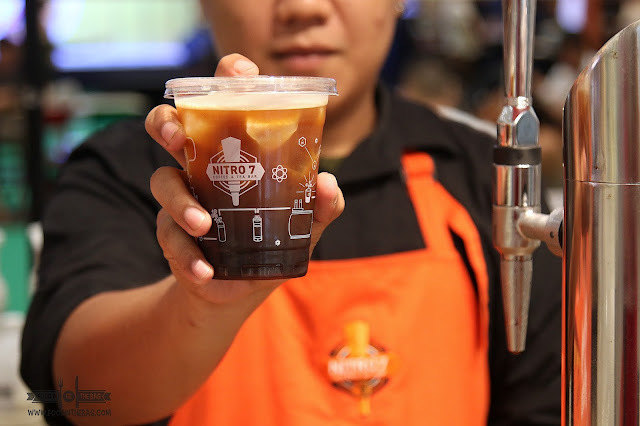 Nitrogen is infused in coffee making it creamier and smoother. Furthermore, we also have a Jamba Juice there as well. 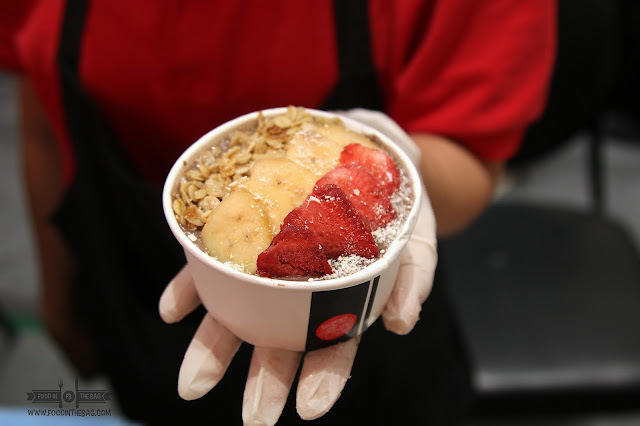 Figure conscious foodies would enjoy BLISS BOWL with their nutritious offerings. Plus POKE POKE is also there for something refreshing and healthy. 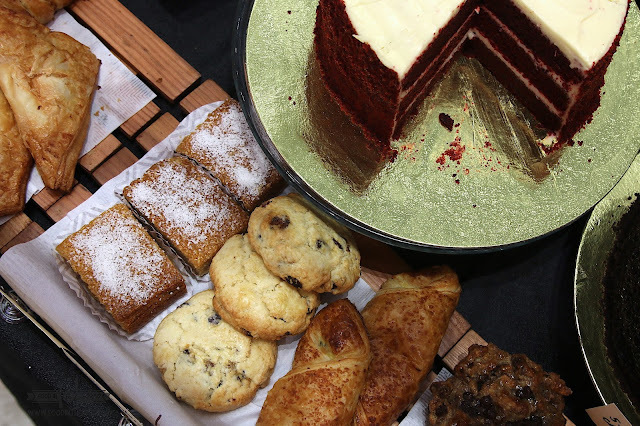 If that's not enough, we have LUCCA for dessert as well as Lost Bread, BLK 513, LLAO LLAO, and yes even Auntie Anne's.